To provide the finest and most comprehensive dental care possible in a friendly and relaxed environment. 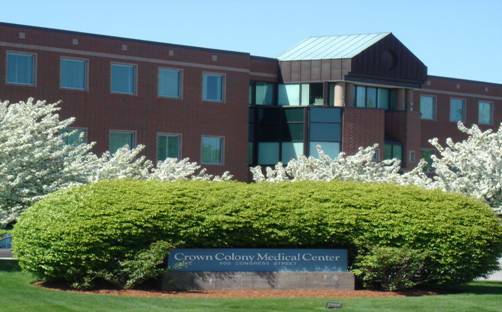 At Crown Dental Group, we combine state-or-the-art technology, highly trained doctors, knowledgeable and caring staff, and old fashioned service principles. We are striving to be the very best. We are continually updating our equipment and techniques to better serve you, your friends, and your family. From the moment you walk into our office you will experience our dedication and commitment to service. We understand that service starts with us and we adapt your treatment to fit you as an individual. We are very diligent when it comes to treating the person as well as the dentition. We will take the time to help you understand your different treatment options, encourage questions and will review financials with you before we start any procedure. "We Are Here To Serve And Provide You With Great Care." Free convenient parking with handicap access is provided. We are conveniently located near Route 3. If you are traveling north on Route 3, take exit 19. If you are traveling south on Route 3, take exit 18. At either exit, follow signs for Quincy Center until you reach the first set of lights. At these lights, turn left onto Center Street. The Crown Colony Office Park entrance is located immediately on the left. Enter the Park and take the first right onto Congress Street and take the first right into the Crown Colony Medical Center building. We are located on the third floor.